Over the course of seven years, a well-respected team of adventurers has embarked on scores of not-quite-legal investigations inside, below, and above the city's hidden infrastructures. Their first book published by Prestel, Subterranean London: Cracking the Capital, took readers under the city. Now, they reveal the results of their expeditions scaling the city's heights. Jaw-dropping photographs offer extraordinary views from vantage points that most of us will never reach. Divided into thematic chapters, the book offers personal accounts of various excursions, including travels up freestanding masts, pylons, and chimneys; the tops of public spaces such as the Barbican Centre and the British Museum; voyeuristic glimpses over the rooftop gardens of the rich and famous; and the heights of London "starchitecture": the Gherkin, the Shard, and the Walkie-Talkie. Each chapter includes a new artwork by illustrator Lizzie Mary Cullen, who specializes in urban psycho-cartography. 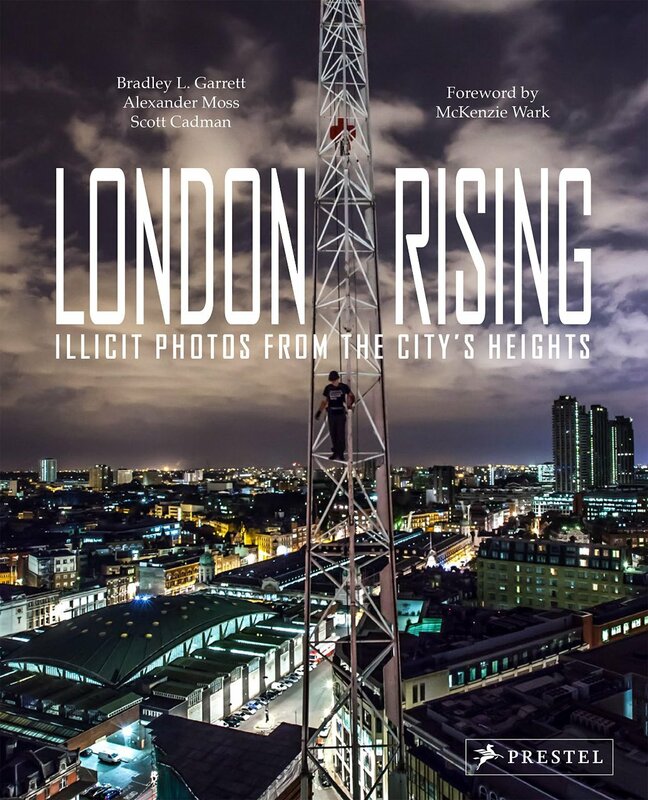 This London urban exploration crew's exploits in procuring these photos have received extensive coverage in the worldwide press.Readers will enjoy these indefatigable explorers' quest to make their native city both known and accessible to anyone who shares their curiosity.